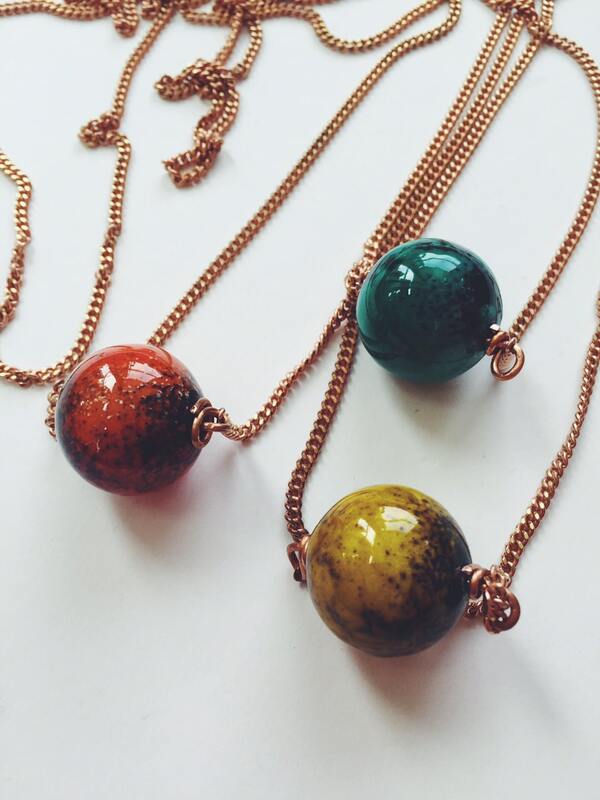 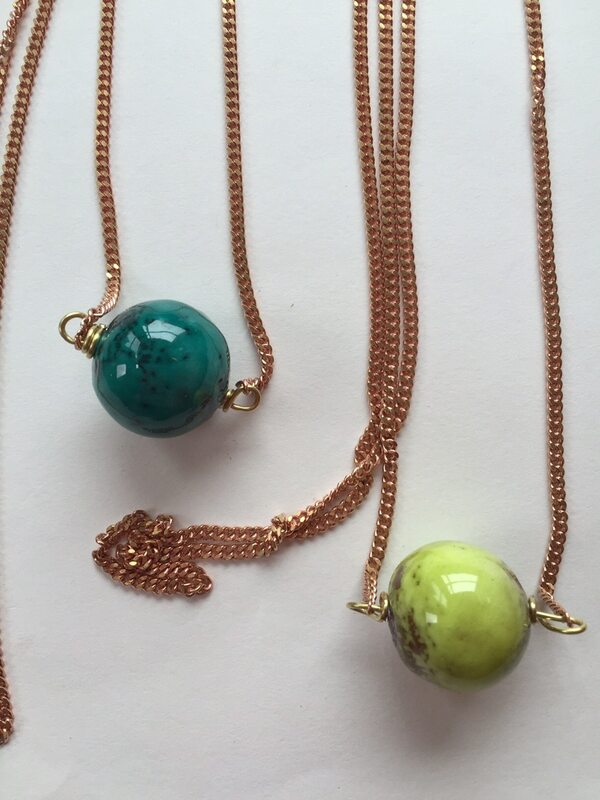 Enameled copper ball and chain necklace, available in turquoise, yellow, and orange. 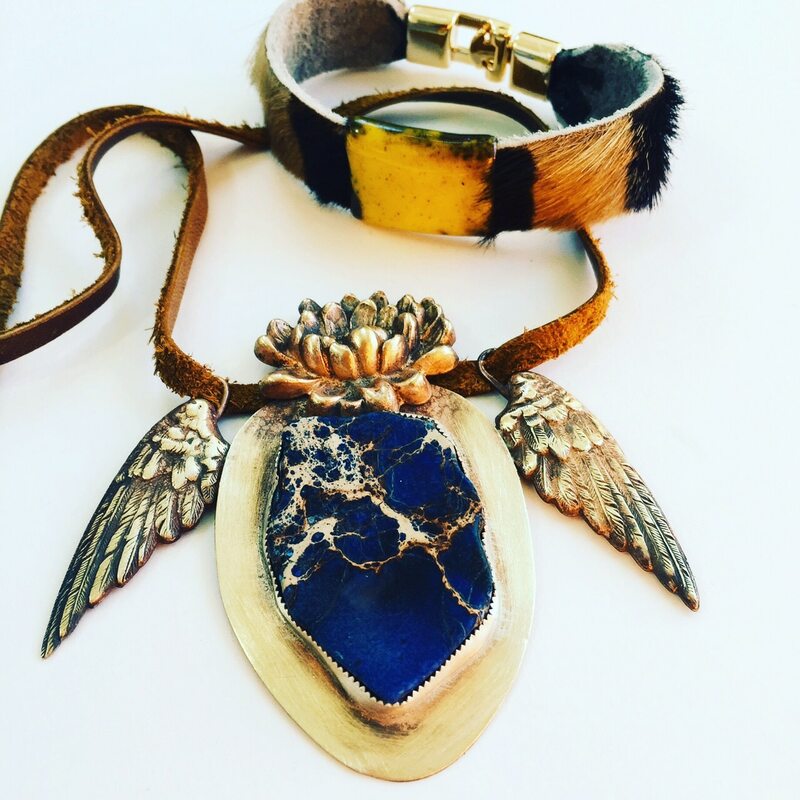 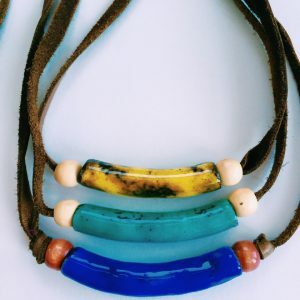 A great piece for layering this piece can be worn long or short by tying the chain on the back. 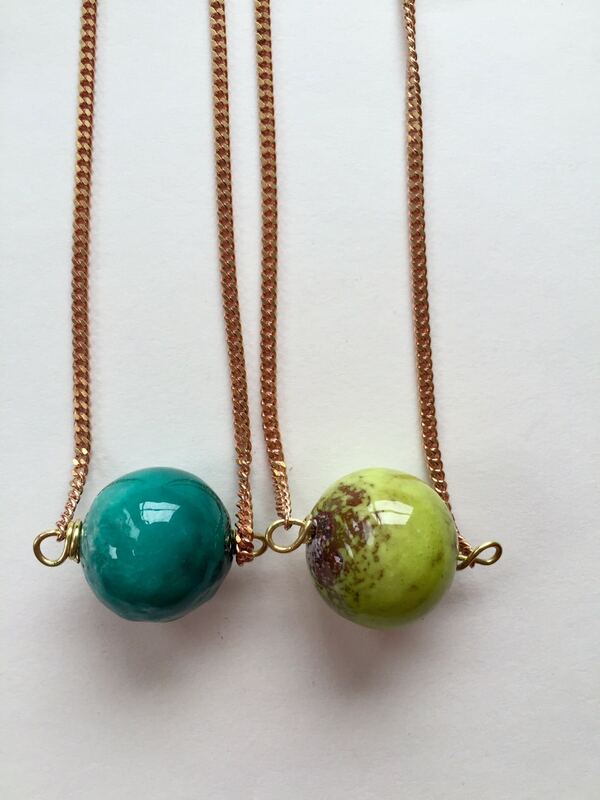 long brass chain with enameled copper ball turquoise only available.